TITUSVILLE, Florida - A Brevard County man was shot dead by Titusville police during a bank robbery that occurred at approximately 11 a.m., on Wednesday, September 7, 2016. 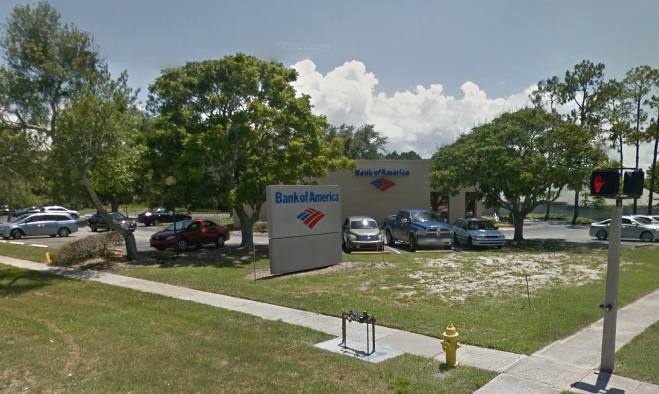 Titusville police responded to a report of an armed bank robbery in progress at a Bank of America branch located at 2600 Barna Avenue in Titusivlle, Florida. When officers arrived, they encountered an armed suspect on Barna Avenue near Harrison Street. The man was shot by police and pronounced deceased a short time later. According to the Titusville Police Department, the preliminary investigation shows the officer was forced to use deadly force because of the actions of the armed suspect. No officers were injured during the incident. The Florida Department of Law Enforcement (FDLE) is on scene and investigating the officer-involved shooting. Per standard policy, the officer involved has been placed on paid administrative leave pending the completion of the FDLE investigation. The suspect has been identified as 35-year-old Jesse Daniel Joynt of Titusville, Florida. According to FBI crime statistics, most bank robberies are committed in the southern United States before lunch time.